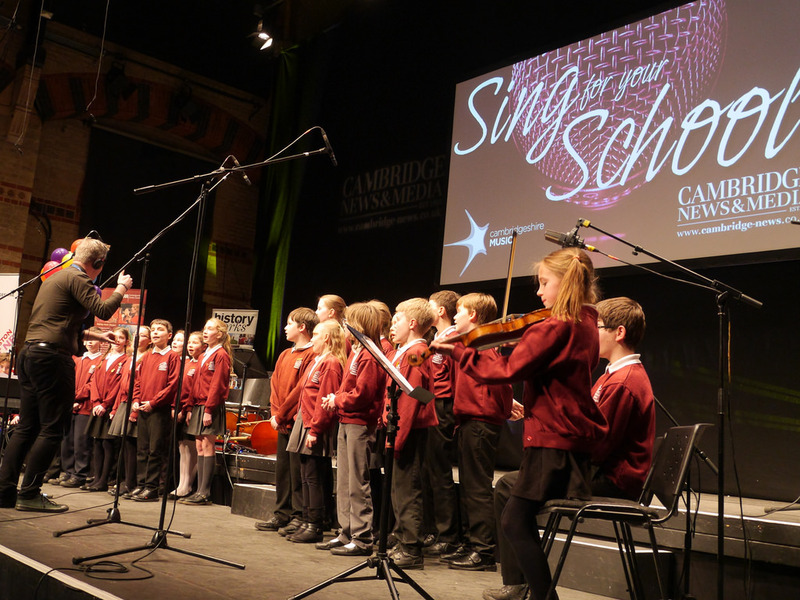 The evening of 2nd March was a fantastic celebration of song and creativity, when the 8 finalists from local Cambridgeshire Schools came to perform at the Corn Exchange for the ‘Sing for Your School Celebration’ event. 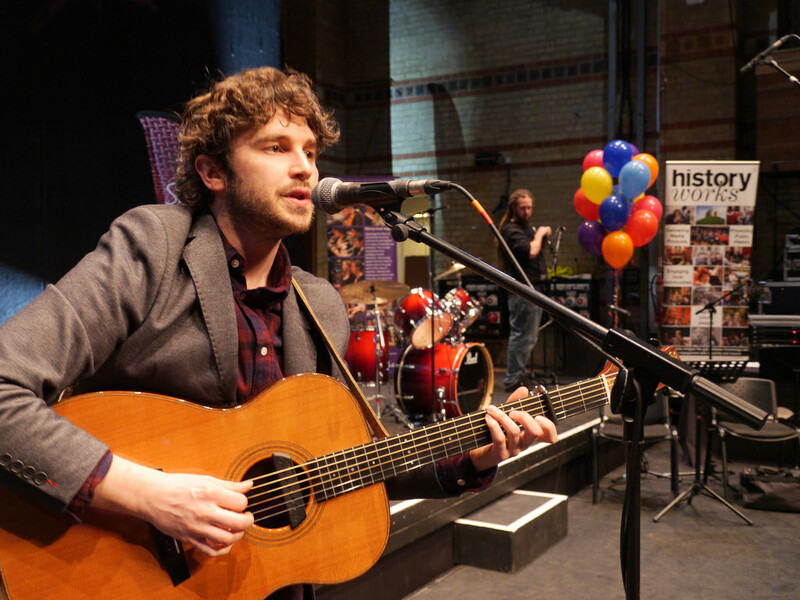 There was a real buzz in the air as the event started, with Mario Satchwell, Helen Weinstein and Tizzy Faller from Historyworks leading all the schools and the whole audience in a huge warm up session, to get their vocal chords ready for an evening of singing! Then MC for the evening, BBC Cambs Jeremy Sallis took to the stage to introduce the first act of the evening, Bottisham Community Primary School. Their fantastic, catchy song ‘A Big Bottisham Welcome’ had a wonderful message about their school community being a welcoming place, wherever you come from and whatever language you speak and was very much enjoyed by the audience. Each school were presented with their prize by a partner or sponsor of the event, which included an amazing trophy and certificate of achievement signed by guest judge Michael Rosen. 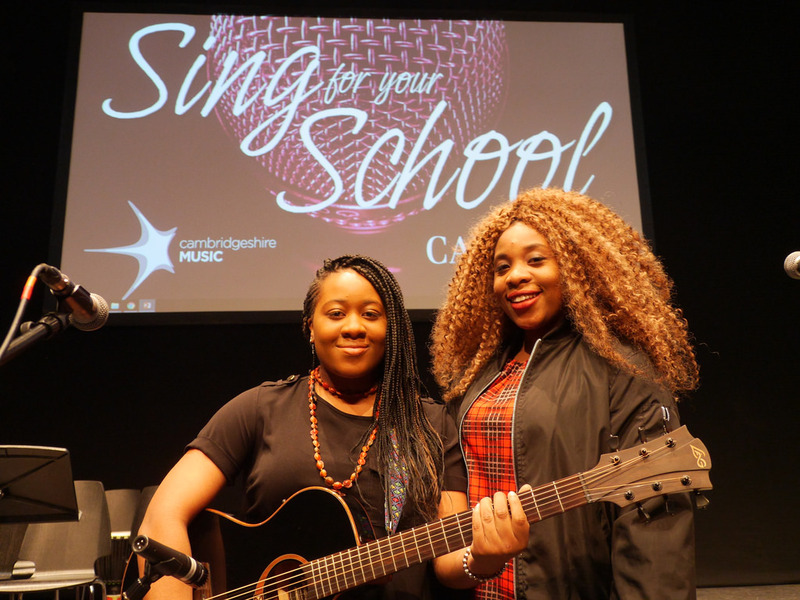 The audience also had the joy of hearing two of the other judges, Dan Wilde and Ilarna Nche, both singer songwriters, perform as part of the evening, with Dan singing his song Pieces and Ilarna singing her song Here’s To The World alongside her sister Towalla. 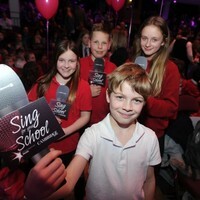 Each of the songs were distinctive and had themes which held great meaning for the young people involved, with some children choosing to sing about their school’s identity, community and memories, whilst others choose to sing about the pain of being bullied and their desire to help build a better world. All the performances were heartfelt and sung with real passion and enthusiasm, moving the audience and making parents, grandparents, siblings and teachers extremely proud of the young people on stage. The whole event ended with Impington Village College and Mario teaching the audience the chorus of their song, which the whole audience joined in enthusiastically with, leaving everyone on a singing high as the event drew to a close! To see the Cambridge News article from the event click here.